Greetings all. I sell PVC bows for use in LARP combat. They have a draw weight of about 25# Nothing fancy, but tough and reliable. 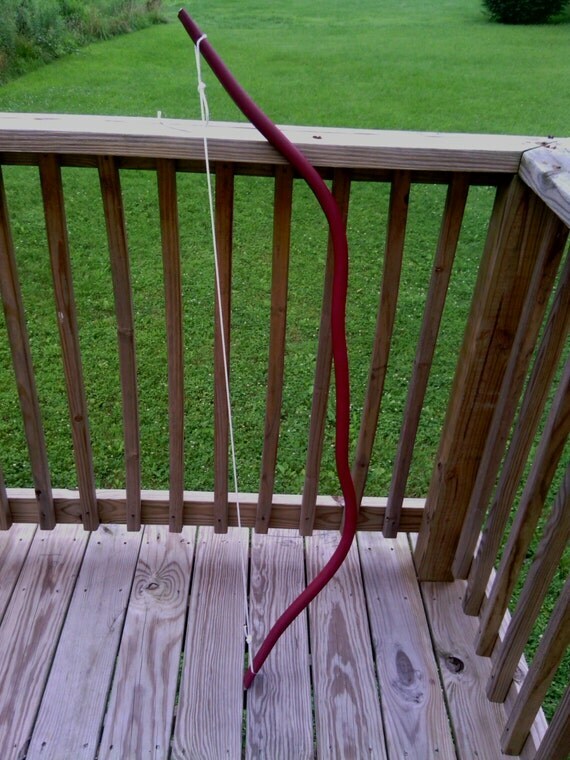 Overall, tip to tip, the bow is just under 5' long, string is made of wax treated clothesline. $15 for unpainted, $20 for painted. Color selection is currently limited to burgundy black and blue. Last edited by PandaBows on Sat Aug 03, 2013 8:04 pm, edited 1 time in total. That's really cool. I dig it. This makes it easy for a small group to get a couple bows for their realm and or unit. Which reminds me, if you are ordering to outfit a unit, I give 10% off on orders of more than 5 bows.